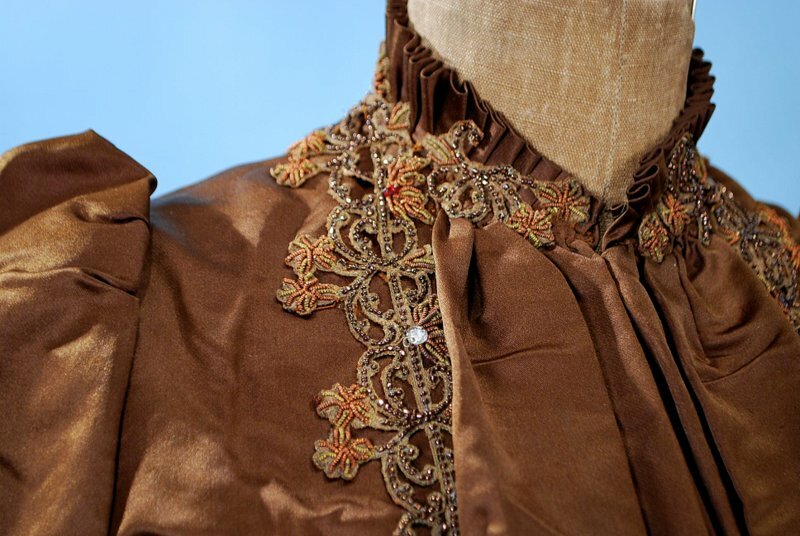 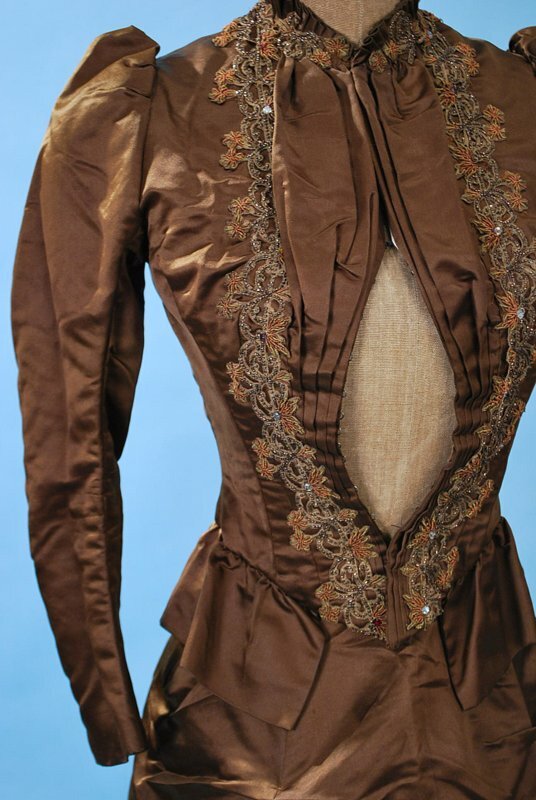 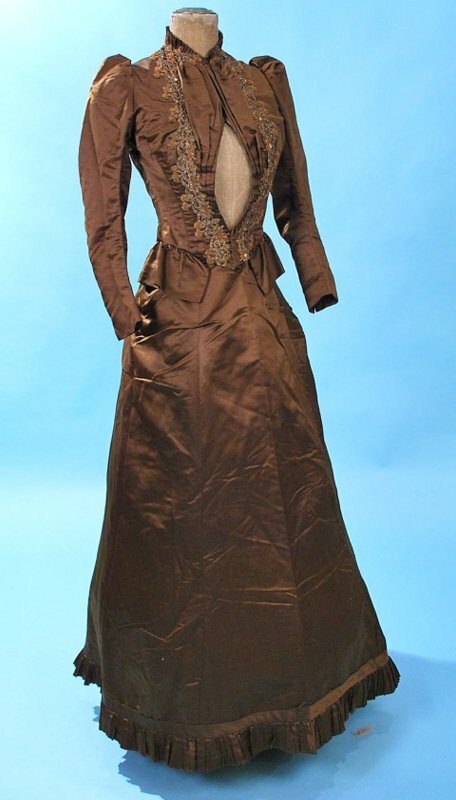 Coppery brown lustrous silk satin ladies two piece outfit dating to the 1890's. 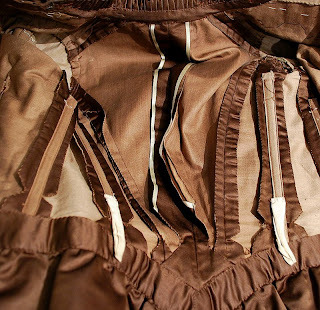 Front hook and eye closure, fully lined with stays. Applique bead work on bodice with gently gathered bottom edge. 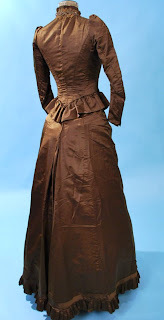 Bell shaped skirt that is unlined with box pleats at hem, back hook and eye closure. Both pieces in very good as found uncleaned antique condition with a few scattered small holes in skirt. Chest measures 32", waist 22", length in front 19", sleeves 20". 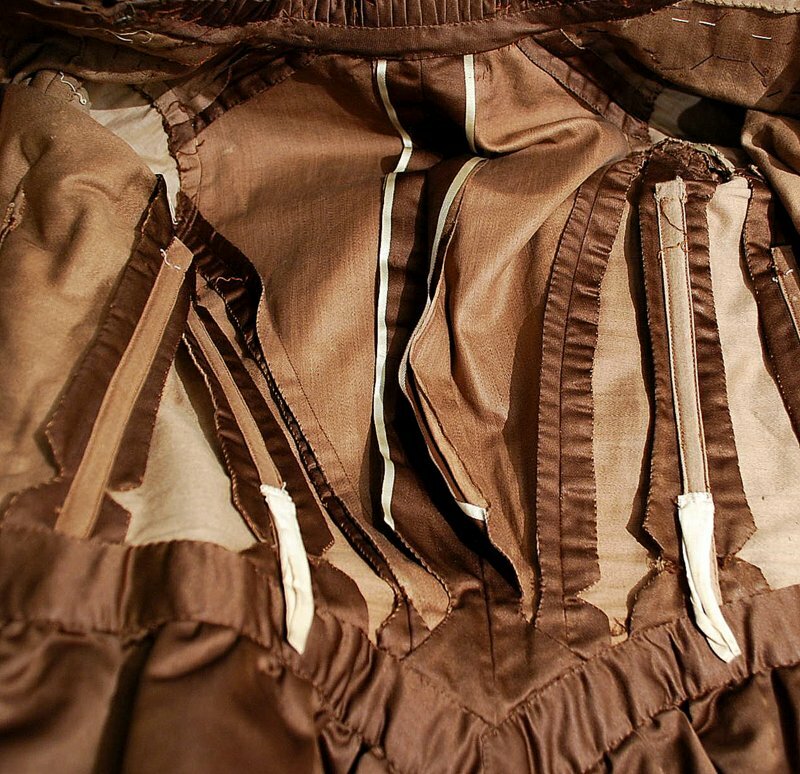 Waist on skirt 22", length 42". 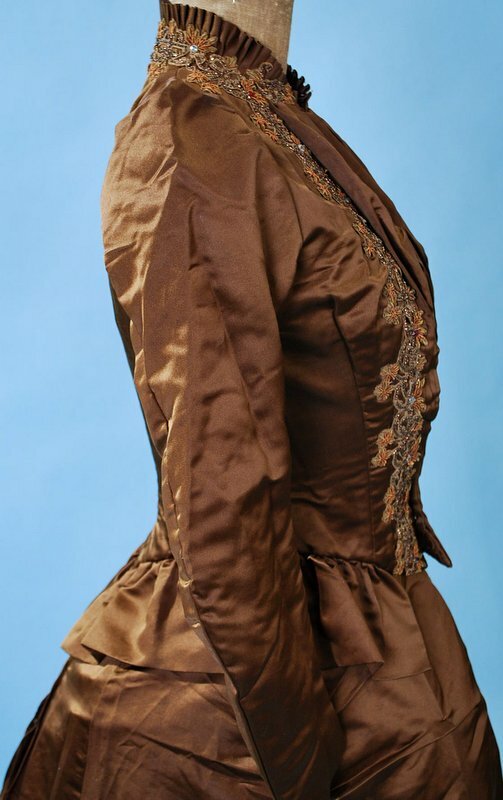 The bodice is very unique. 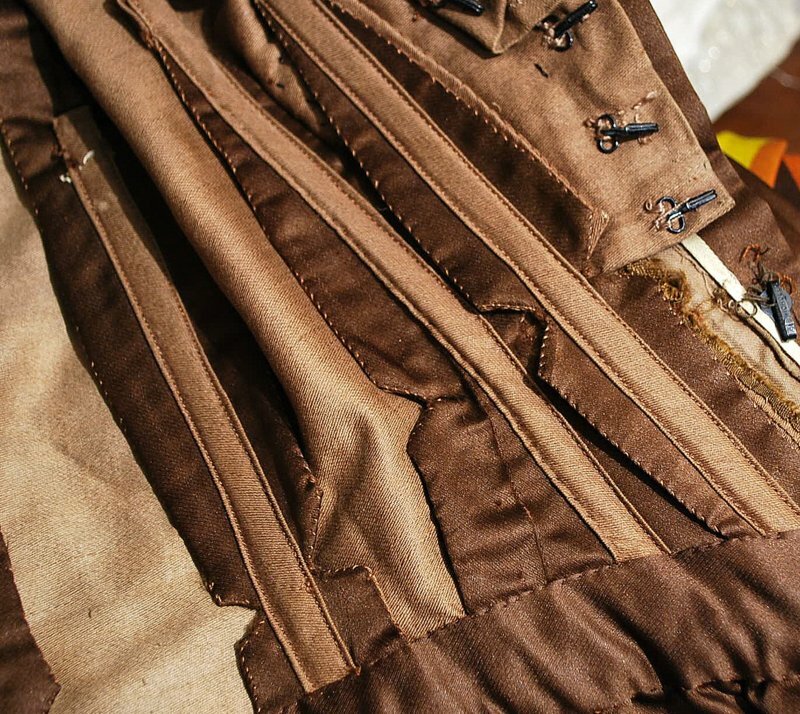 I don't think I've seen that particular cut before.